On January 1st last year I set myself a challenge. To lose weight, get healthier and improve my fitness levels. I was stuck in a rut- eating unhealthily, not doing any exercise at all, and generally not feeling particularly nice about myself. I have never been overweight, but I had a spare tyre round my waist and I just didn’t feel nice in clothes at all. I had got to the point where I wasn’t making any effort with my appearance, I don’t remember the last time I bought any clothes and even when I did I still felt unconfident. We had got into a habit of eating a lot of rubbish, we would eat chocolate, ice cream or desserts every evening, I would eat paninis and chips when I was out with friends at soft play and I would pile my plate high with food in the evening, my appetite even surpassing my husbands. Until this year I have never ever stuck at a fitness plan or done any regular exercise. Even at school, I was never really sporty and preferred to hide in our common room and paint my nails than go and do netball and hockey. At university and in my early 20’s I lost count of the amount of times I joined a gym only to go twice and then never return. I just didn’t have the motivation to do it. But on the 1st January 2014 something inside me made me decide to start a fitness mission. And this time for whatever reason it was different. I took a photo of myself on January 1st 2014 as motivation to see if I could see any results and that photo still makes me feel really sad. It’s not like I am particularly overweight but I just look unhealthy- it can definitely only be described as a spare tyre round my middle. I started off in January joining a gym with my sister. We went a few times, but I don’t know what it is but I just don’t feel 100% comfortable at the gym. So instead we went for a run one evening. And bizzarely I absolutely loved it. I downloaded the Nike Running app and loved getting an instant result as to how far and fast I was running. I started off running just half a mile, then a mile then setting myself a goal to work up to three. Then five. Then a little bit more. And even though it was winter and freezing, I still did it. Eventually I cancelled the gym membership and just carried on with my running. I started off going three to four times a week, just short distances and I loved beating my times and the way it motivated me. The next thing was my stomach area. I had two large 9lb babies, both by c-section and my core was just incredibly weak. My tummy stuck out like I was about 12 weeks pregnant. After some research online I found out I had a diastasis recti, which basically is separation of the ab muscles after pregnancy. I did a simple exercise which I found online and found that my separation was about 4-5 cm, not the worst ever but certainly something that needed improving. So I set about doing exercises to try and strenghten my core. The worst thing you can do for ab separation is things like sit up’s as they can make it worse, so I researched online and did simple exercises twice or three times a week at first to strengthen them. It took quite a while but after about six months I started to notice a difference. Now, it’s not perfect, its about 1-2 cm so I still have a bit of a bulge and gap but it is a lot better than it was. In terms of food, to begin with I really watched what I ate. I cut down on all chocolate and sweet things and ate a lot healthier in the evening. But the main thing I did was eat smaller portions. Instead of a greasy panini and chips for lunch I would have a jacket potato or beans on toast (baked beans- best thing ever in terms of being tasty and low in fat!) I measured myself at the end of each month and was excited to actually see some results for the first time ever, with my greatest loss in weight in the first month. It was definitely addictive. I began signing up to running races in the future as a motivator, with a 10k race in the June, a half marathon in the August and another half marathon in the October. I also used my husband’s kettlebells for a few minutes once or twice a week too. After losing the initial weight I started to relax a little. I had sweet treats, still ate chocolate a few times a week, and ate the things I enjoyed, I just ate them in moderation and if I knew I was going out for dinner and wanted to eat lots, then I would make sure I had a healthy meal the night before. We went on holiday to Rhodes in June and I ate so much for the week, but I also got up early three times and went to our hotel gym. I completed my first half marathon in August, something which I was incredibly proud of and then I did another one in October too. I got a little bit lazy in writing my fitness mission posts each month, but I still made sure I stuck to it, although I wasn’t as strict as I was before. Nowadays I run about once or twice a week, mainly because it is so cold at the moment and I am really busy with my freelance work. I definitely go through stages where I am really motivated and then weeks when I am not so much. However in the whole year the longest I haven’t run has only been about a period of two and a half weeks which has been recently over Christmas. I also have been eating out a lot and of course eating all the festive food, so I have put on a few pounds and lost some definition in my stomach muscles- it is so easy to get out of the habit, but the weight I am at now is actually the most comfortable for me. It is a struggle to get out the door sometimes but towards the end of the year, I stopped trying to get faster and began running with a good friend of mine, it’s great as in the Winter even though I am not going as fast as I normally would, I am chatting and enjoying each run. The start of the year was all about me beating my personal bests whereas the end of the year I have just been running to keep fit. I am still eating fairly healthily but I do still eat even a small sweet treat most days, even if that is just a chocolate biscuit, a couple of pieces of chocolate or a scoop of ice cream. I find if I cut it out completely then I end up wanting it so much more so I think it’s best to eat in moderation. I started the year drinking a lot of water, but over the last few months I have got terrible, I barely even drink a glass a day and I have started drinking even more diet coke than I used to- I really need to try and cut down, while I won’t be able to stop drinking it completely, if I can drink more water then I won’t feel so guilty about drinking it. I am useless at drinking water so this is something I really need to try and improve on. Inches Lost- 7 inches from around my waist. Running achivements- 2 half marathons, 1 10k race. My fastest half marathon time is 1.51. Here is a before and after photo to compare. So what do I want for 2015? Well I have got a little lazy the last few months and so I want to try and get more motivated again. I want to run at least twice a week, back in the summer I managed to get quite good tummy muscles, so I want to work hard on doing exercises at home to work on that as it is still the part of me that I feel most self conscious about. I have a wobbly bit of excess skin at the bottom from where I had my two c-sections and I know I won’t be able to get rid of that, but I would like to tone up a little more. Also where I have lost weight I now literally have no bottom, so I would like to try and tone and firm that a little more- the only problem is I literally cannot stand squats which I believe is the best way to do that. I don’t need to lose anymore weight but I want to maintain the weight I am now. Running wise, I have signed up to two more half marathons- one in March and one in October, but I want to look and try and do a couple more as well. I did something crazy and signed up to the full Brighton Marathon which is in April, but I am now wondering whether to defer it until 2016. I just feel like I am not in the right place to try and run a 26 mile race- I am busier than ever with work and I want to enjoy these last few months before Mads goes to school. Also we have a fair few exciting things booked because we are trying to get them in before she goes to school in September, so I just worry I won’t be able to commit to training for it. I almost feel like I am cheating myself by not doing it, but I will still make sure I do lots of other races instead, and hopefully I can do that one in 2016. It’s just such a commitment and I don’t feel ready for it to be honest. I am going to drink more water as well and try and cut down on diet coke, and try and perhaps get back into the frame of mind of not eating too much rubbish as I have definitely got worse and into bad habits again over the last few months. That said, fitness and this way of thinking is a way of life for me now so I don’t worry that I will completely fall of the wagon. Above all I am incredibly, incredibly proud of myself for sticking at my fitness mission for this year, it has changed my life and I hope that I will continue in 2015! NB: This is just my own personal fitness journey- I have no idea if it’s the way you should do things, but it’s how I managed to lose weight and get fitter. I am not an expert and don’t really have a clue what I am doing but I wanted to share my year of fitness in case it helps or inspires anyone else. Good luck Emma and thanks for your lovely comment. I’ve said it before but I will definitely say it again, you are a real inspiration Katie, what an amazing transformation in just 1 year! Well done, you should be so, so proud of yourself! Ah thanks so much Karen. well done Katie, you’ve done brilliantly! I have passed my first challenge of running a mile without stopping & am now working my way up to 5k…it may be a while! Well done Helen! That’s amazing. My word. You look amazing!! This post is awesome and what a massive pat on the back for you too – you look so good hunni. Its funny as you looked good to me last year too! You always look good. Hi Kirsty of course I will do a little post when I have time on my jogging and exercise plan as I think that would help people- it’s getting round to doing it though. Well done on losing 1.5 stone- that’s amazing. Good luck with it all. I really didn’t and I was really self conscious but I am so glad I have it now to look back on. Good luck with yours too Donna. Thanks lovely! Ooh I love a good Crunchie! 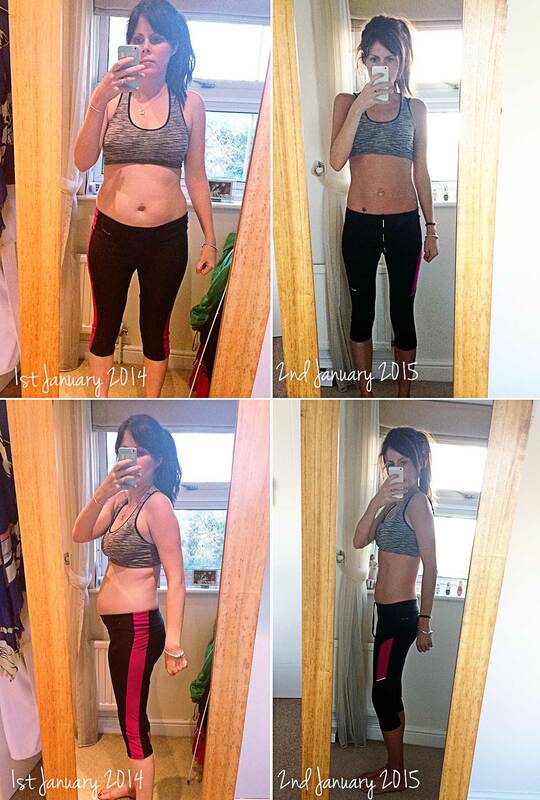 Wow 2 stone- thats amazing! Well done to you Susan. Wow Katie ! I love this post and have even read it a couple if times as it’s so interesting. I list all my baby weight with the first 4 months of having my daughter but not sure what happened because I can’t get into any of my old or new clothes anymore. I’d love to commit to getting and staying healthy for 2915 but just nervous that the while New Years resolution ambitions also taper off for me. What was the one key thing that encouraged you to push on in the early days and weeks? Katie I am so very proud of you in your fitness goals and mostly your amazing achievements. You truly are so inspiring and this year is the year of healthy! I need to get myself to eat better and exercise more. I was too sick for too long last year. You have motivated me to do something about it. Your beautiful post too! Thank you. Keep it up girl you are doing so amazing. Thanks Jenny for a lovely comment and good luck with yours too! Hi, I’m a new follower and I love your blog! I too started running last year, and am planning on running my first half marathon this year. I also have a diastasis recti of about 5 finger widths which I’m looking to work on this year. I’d love to hear about the exercises you did that helped. The more weight I lose the more pregnant I look with it! Look forward to reading more about your fitness journey! Wow Katie! Talk about inspiring. I had Diastasis Recti too and had to work really hard and have physio in order to sort my muscles out… and now I’m pregnant again so will be back to square one in June! But hey… the things we do for these babies? Feeling somewhat confused at the moment about how I keep fit during pregnancy, but I’m definitely motivated to kick the baby fat much quicker this time round post baby! Keep going girl…. you look fabulous! Thanks Morgana and good luck with yours! You did look. Big at all in Jan 2014 but wow what a huge difference and lifestyle change for the better. Huge well done. You should be really proud of the huge achievment! I started exercising in 2014 mainly for my belly and it’s madee feel so much better! Ah thanks lovely and well done with yours too. Arrrgh I meant you “didn’t” look big at all in January 2014!! This is all very inspiring! Your before and after pics are amazing – I don’t know if I’d be brave enough to do that, but I bet it’s a good way to get motivated. And it sounds as though you’re doing the right thing in deferring the marathon. You won’t get these next few months back – enjoy them, you deserve every minute. Wow! What a difference a year can make! I think you’ve done amazingly well and you’re definitely inspiring me to find some way to get some exercise into my daily life – I spend far too much time going at toddler speed! You’ve done so well!!!! Although I am not able to run, you have given me a figurative kick up at the backside to get going and finally lose the baby weight. Ah thank you! 🙂 Good luck with yours. 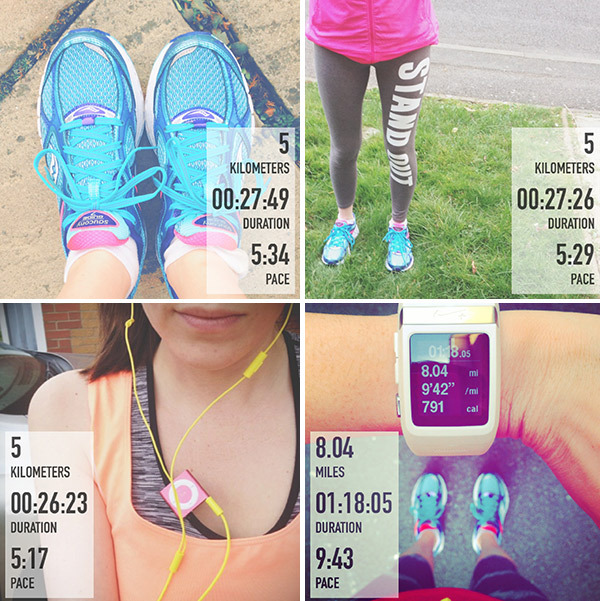 Watching your fitness mission unfold was what initially kicked my bum into gear and finally start the Couch to 5k. And I too loved getting out & running. Unfortunately once I went back to work I totally slacked and haven’t been for a run in months now. I was hoping to start up again in the New Year and once again, you blogging about your Fitness Mission is just the kick in the bum I need! What an achievement. 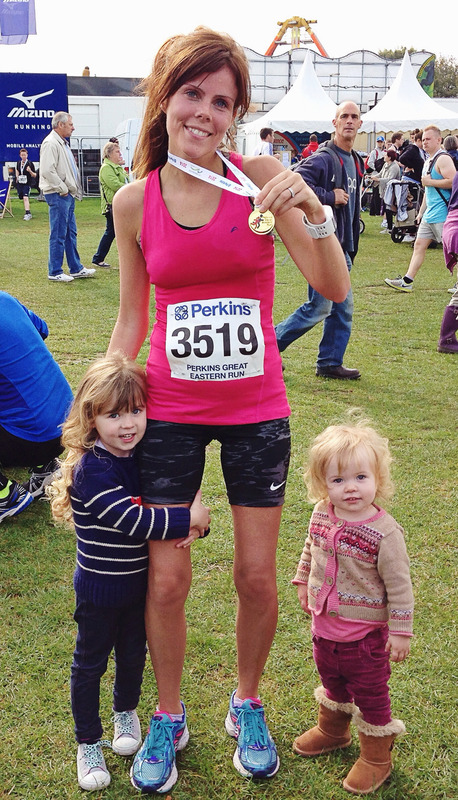 Why don’t you join me as @fitness4mamas and share your tips with my readers too? Ah thanks Mirka- I will have to check out your site. Thanks for the tip.